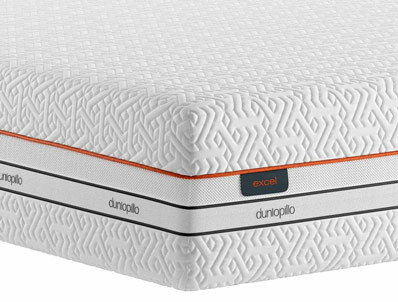 The Dunlopillo Go range of mattresses is new and the Excell is the top. This 29.5cm deep mattress offers a perfect balance with Dunlopillo latex on top of an advanced pocket spring system. This mattress has been designed to relieve pressure points, providing you with an excellent level of support. 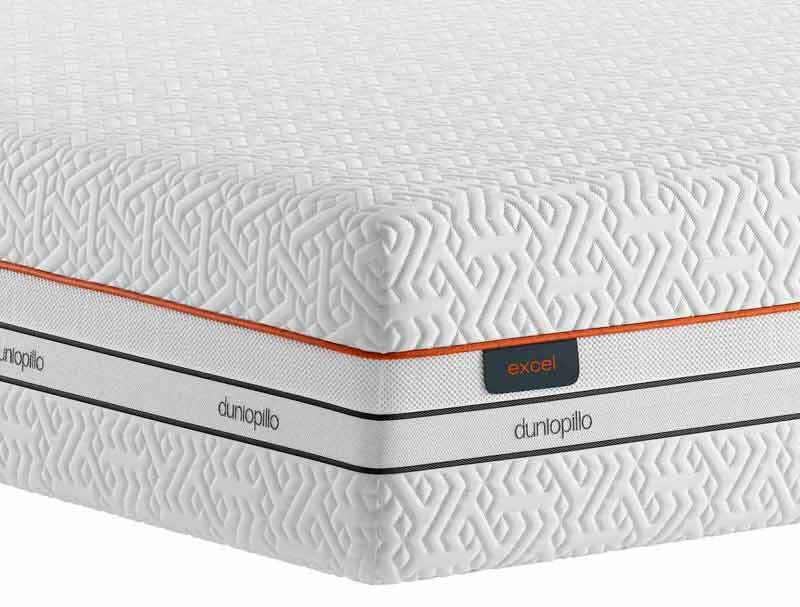 Like all Dunlopillo mattresses the Excell Go mattress is non-turnable and contains 100% natural latex which conforms perfectly to your body,s shape. It is also very breathable as it made with pencil holes in the latex to help any heat escape whilst keeping your mattress well aired. This also makes it hypoallergenic and ideal for allergy suffers. The pocket spring unit is zoned in 7 sections to give you a softer feel at your head, shoulders and hips whilst giving you a firmer support in your lumbar region, so more support for the curve of your back helping to keep your back aligned. 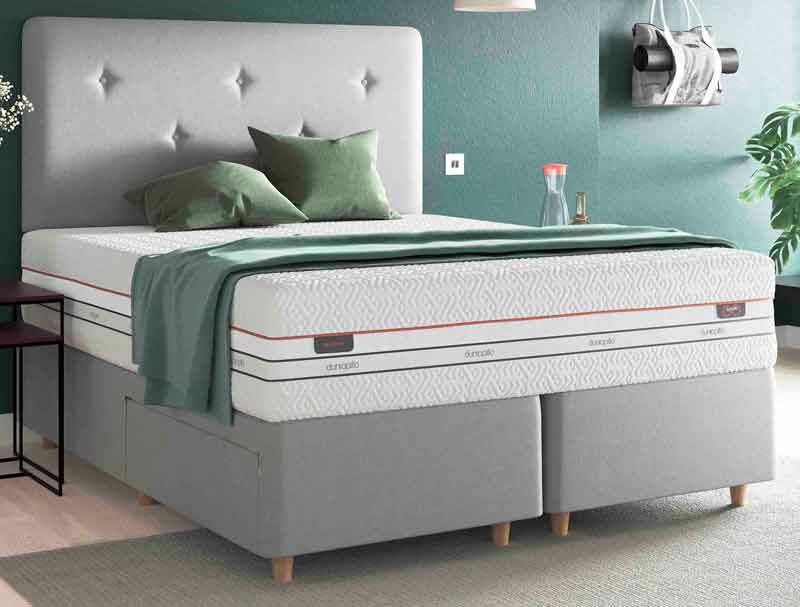 The mattress is further enhanced with smart edge a stronger more durable wall at the sides of the mattress allowing you to sleep closer to the edge giving you a greater sleeping area. This no need to turn medium tension mattress is cooler than memory foam as it creates less heat through its unique open cell structure of a 100% natural latex core. This mattress like all Dunlopillo mattresses comes with a 8 year guarantee.